This Lela Rose number is a great option for the over 50 set, featuring a sophisticated shape, modest hem and sleeves. This elegant floral sheath is under $90 and would be universally flattering for any age group! Leave it to Kate Spade to create the most darling scalloped dress in the ideal spring fabric: tweed. 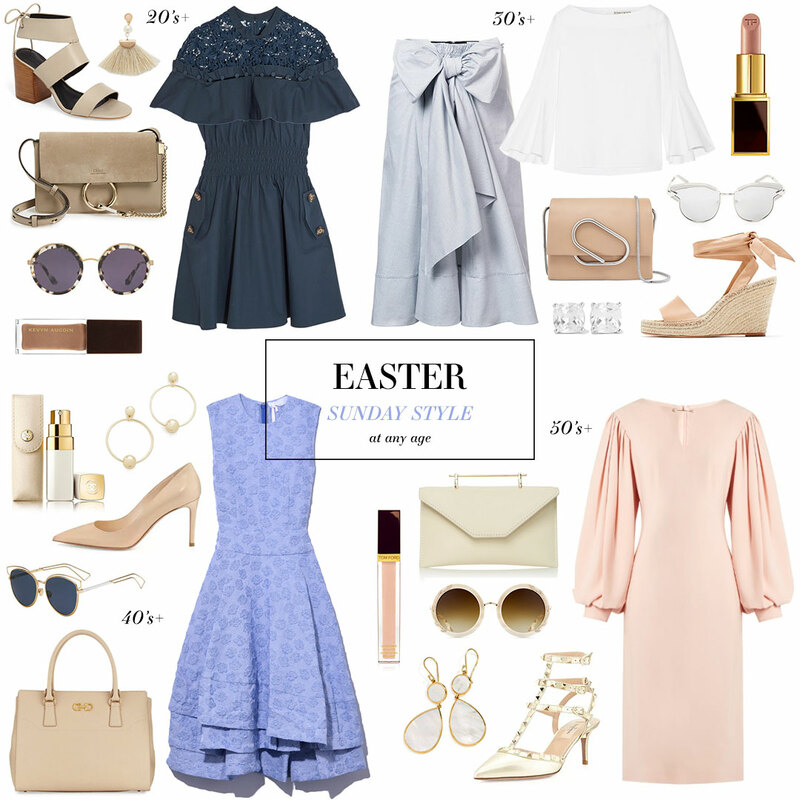 If you’re in your 20’s or 30’s, this Rebecca Taylor dress is perfect for Sunday church! This rose-print number is another pretty option from Rebecca Taylor. For a more modest look, try styling a simple blouse underneath or topping it with a cardigan! It’s hard not to love everything Alexis comes out with these days… especially this embroidered dress. Shop everything you see here in the text section above! I love that skirt from the 30’s! The midi length and bow is adorable! Woohoo! As I hope you know, I just adore these At Any Age features. You do them oh so well!